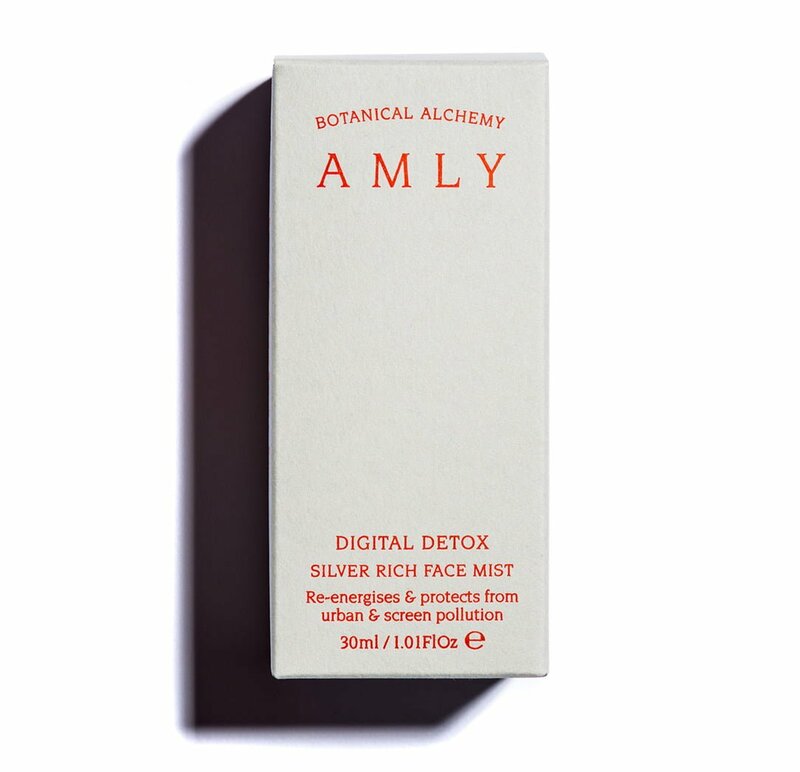 A detoxifying face mist that combats the effects of environmental and digital pollution. Energy-cleansing Frankincense, purifying Magnesium Salts and powerful Marine Actives are combined with Ginseng to aid concentration and Ylang Ylang to de-stress. Indispensable for urban commutes, air travel and when using computers and mobile devices. Close your eyes and spray liberally on to face and your immediate environment. Use throughout the day to protect skin vitality and boost energy levels. Marine Algae is a powerful anti-wrinkle active that stimulates cellular proliferation and increases collagen synthesis. 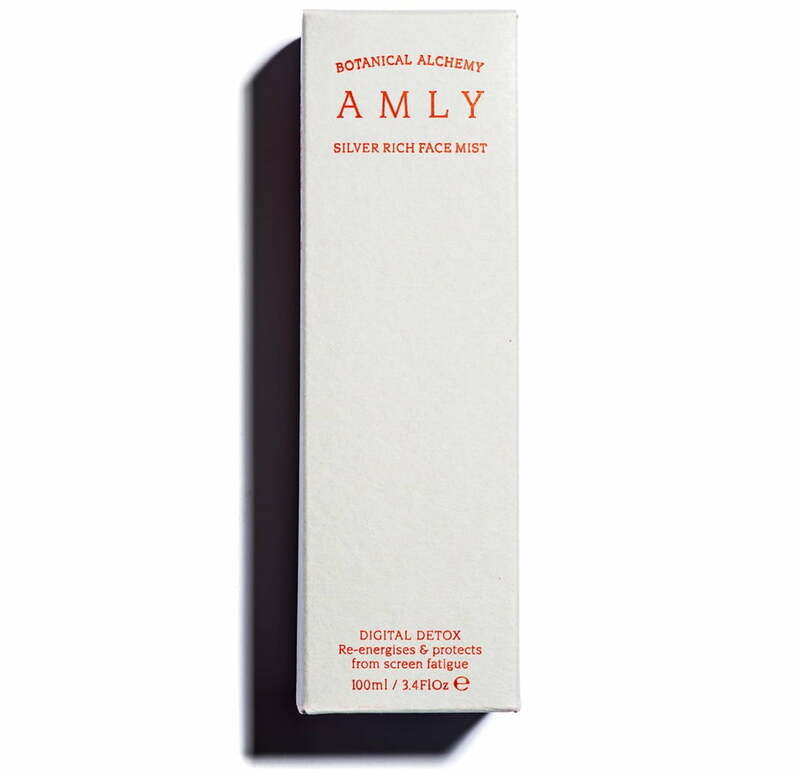 Nourishing and full of antioxidants, it strengthens skin while restoring its natural suppleness, radiance and beauty. Niaouli has powerful anti-infection, antibacterial and antiviral properties. It is incredibly clarifying for skin and mind, and is used to purify the air and clear congestion as well as treat acne-prone skin. Its stimulating properties make it perfect for studying or performing tasks that require the utmost concentration. Niaouli oil is known to be uplifting, inspiring a positive, hopeful outlook on life. Himalayan Pink Salt detoxifies the skin and purifies the air we breathe. Magnesium Sulfate is mineral rich, rejuvenating and rehydrating, while also eliminating toxins. Salicornia boosts skin strength and hydration. Beetroot extract is packed with iron, vitamins and minerals and contributes towards healthy and glowing skin. Panax Ginseng is a potent anti-ageing root extract thanks to its many phytonutrients, toning and brightening skin. Gotu Kola strengthens and tightens the skin, as well as developing healthy energy levels. Cedarwood improves focus and wisdom and has a light scent with woody and sweet overtones. Juniper is an antiseptic with a dry bittersweet aroma, and also helps to overcome mental fatigue and depression. Aqua, Glucose, Rapeseed Acid, Sodium Chloride (Himalayan Pink Salt), Magnesium Sulfate, ***Aloe Barbadensis (Aloe Vera) Leaf Extract, *Boswellia Carterii (Frankincense) Gum Oil, *Citrus Aurantium (Neroli) Flower Oil, *Jasminum Officinale (Jasmine Absolute) Flower Oil, *Melaleuca Quinquenervia (Niaouli) Leaf/Twig Oil, *Cananga Odorata (Ylang Ylang) Flower Oil, *Anthemis Nobilis (Roman Chamomile) Flower Oil, *Tilia Cordata (Linden) Flower Oil, *Lavandula Angustifolia (Lavender) Flower Oil, *Pelargonium Roseum (Rose Geranium) Leaf Oil, *Juniperus Virginiana (Cedarwood) Wood Oil, *Juniperus Communis (Juniper) Fruit Oil, *Achillea Millefolium (Yarrow) Flower/Leaf/Stem Oil, Cylindrotheca Fusiformis Extract, Quartz Powder, Echinacea Purpurea (Coneflower) Extract, Panax Ginseng Root Extract, Salicornia Herbacea (Glasswort) Extract, Beta Vulgaris (Beetroot) Root Extract, Centella Asiatica (Gotu Kola) Flower/Leaf/Stem Extract, Silver Citrate, Lactobacillus Ferment, Hydroxyacetophenone^, ****Pentylene Glycol, Benzyl Alcohol, Tocopherol, Glycerin (Vegetable), Caprylic/Capric Triglyceride, Citric Acid, **Limonene, **Linalool, **Geraniol, **Citral, **Citronellol,**Benzyl Benzoate, **Eugenol, **Farnesol, **Benzyl Salicylate.